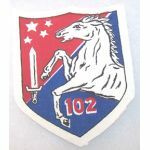 South Vietnamese 102nd Regional Forces Battalion Patch. Vietnamese printed on cotton. Unused. South Vietnamese 149th Regional Forces Battalion Patch. Vietnamese printed on cotton. Unused. ARVN / South Vietnamese 161st Regional Forces Battalion Recon Patch. Vietnamese printed construction. Unused. South Vietnamese 1st Company 205th Regional Forces Battalion Patch. Vietnamese machine embroidered. Unused. 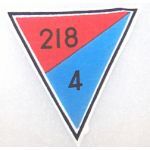 1st Company 218th Regional Forces Battalion Patch. Vietnamese printed on cotton. Unused. South Vietnamese 207th Regional Forces Battalion Recon Pocket Patch. Vietnamese machine embroidered. Unused. Vietnamese Made 235th Regional Forces Exploitation Force Patch. Vietnamese hand embroidered. Unused. 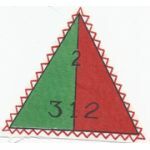 South Vietnamese 2nd Company 312th Regional Forces Battalion Patch. Vietnamese printed on cotton. Unused. 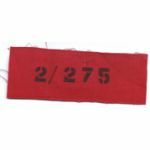 South Vietnamese 2nd Platoon 275th Regional Forces Battalion Patch. Red linen background with stencilled numbers in black. Unused. South Vietnamese 311th Regional Forces Battalion Patch. Vietnamese silk woven. Unused. 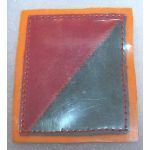 ARVN / South Vietnamese 319th Regional Forces Battalion Tab. Vietnamese machine embroidered. Unused. 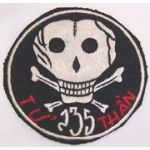 South Vietnamese 328th Regional Forces Battalion Patch. Vietnamese machine embroidered. Unused. 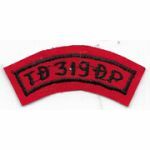 South Vietnamese 3rd Platoon 162nd Popular Forces patch. Vietnamese printed on cotton. Unused. 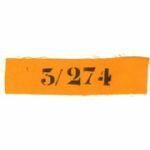 South Vietnamese 3rd Platoon 274th Regional Forces Battalion Pocket Strip. Gold linen like background with stenciled details. Unused. South Vietnamese 3rd Platoon 309th Popular Forces Company Patch. Vietnamese printed on cotton. Unused. 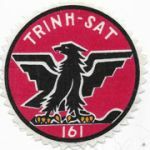 South VIetnamese 3rd Platoon 766th Popular Forces Company Patch. Vietnamese printed on cotton. Unused. South Vietnamese 4th Company 218th Regional Forces Battalion Patch. Vietnamese printed on cotton. Unused. South Vietnamese 528th Regional Forces Battalion. Vietnamese silk woven. Unused. South Vietnamese 628th Regional Forces Battalion Patch. Vietnamese printed on cotton. Unused.